Amnesty International said in a report released on 9 May 2013 that Eritrea's prisons are filled with thousands of political prisoners, locked up without ever being charged with a crime, many of whom are never heard from again. Those detained include government critics, journalists and people practising an unregistered religion, as well as people trying to leave the country or avoid indefinite conscription into national service. "The government has systematically used arbitrary arrest and detention without charge to crush all opposition, to silence all dissent, and to punish anyone who refuses to comply with the repressive restrictions it places on people's lives," said Claire Beston, Amnesty International's Eritrea researcher, in a press release. "Twenty years on from the euphoric celebrations of independence, Eritrea is one of the most repressive, secretive and inaccessible countries in the world." Amnesty International believes that at least 10,000 political prisoners have been imprisoned by the government of President Isaias Afewerki, who has ruled since the country's independence in 1993. With no known exception, not a single political prisoner has ever been charged with a crime or been tried, had access to a lawyer or been brought before a judge or a judicial officer to assess the legality and necessity of the detention. Amnesty International has received many reports of deaths in detention, as a result of torture, appalling conditions or suicide. These include accounts of prisoners dying of treatable diseases such as malaria and illnesses caused by excessive heat. There is an extensive network of detention facilities in Eritrea - some are well known, others are secret. But the extreme opaqueness around detention procedures in the country means the exact number is unknown. Amnesty has mapped the location of known detention centres. Numerous detention centres use underground cells and metal shipping containers to house prisoners. Many of these prisons are in desert and other locations and experience extremes of high and low temperatures that are magnified by underground conditions and metal container walls. All are overcrowded and unclean; food and drinking water are scarce. One former detainee held in an underground cell in Wi'a military camp told Amnesty International: "We couldn't lie down [in the underground cell]. It's best to be standing because if you lie down, your skin remains stuck to the floor. The floor is terribly hot." Another who was held in a detention centre in Barentu said:"The room was about 2.5 metres by 3 metres and we were 33 people. It is very, very hot. The door is closed, the ceiling is low, about 2 metres. The temperature was about 50 degrees. A boy, about 17 years old, was about to die. We were not permitted to speak, but we banged the door. They [the guards] told us they would kill all of us if we did not stop shouting. We couldn't do anything to help him." On the 20th anniversary of its independence Eritrea is a country in which human rights are systematically violated. There is no independent media, no opposition political parties, no civil society. Only four religions are recognized by the government. Amnesty International is calling on President Isaias Afewerki to immediately release all prisoners of conscience arrested for the peaceful exercise of their rights to freedom of expression, opinion, association, religion or belief, or their identity as family members of people who have fled the country. 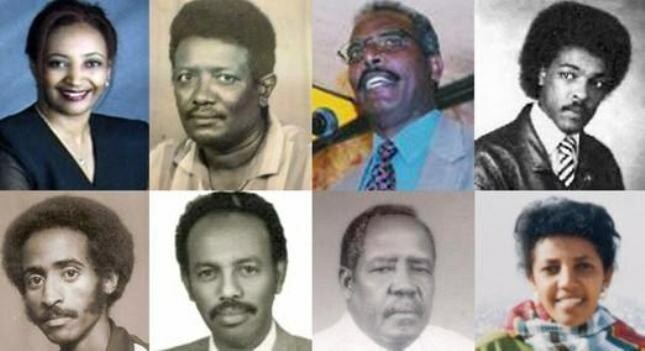 The Eritrean authorities must also charge anyone suspected of a recognizable crime and promptly give them a fair trial or else immediately release them. Family members must be informed of their relatives' whereabouts. "These arbitrary arrests and detentions are illustrative of the absolute intolerance the Eritrean authorities have for dissent of any kind as a result of which thousands of political prisoners are languishing in terrible conditions. This has to end," said Claire Beston.